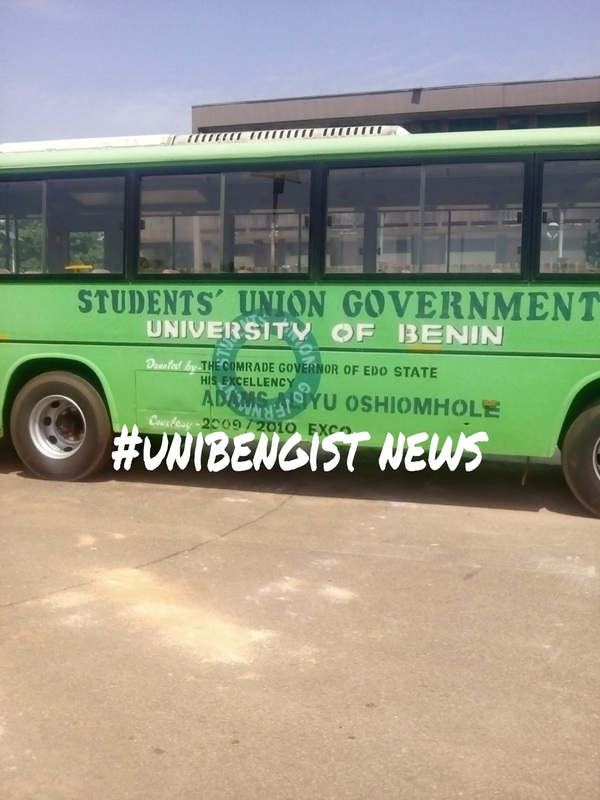 UNIBEN GIST: CRISIS: Uniben Shuttle Bus/Cab on Strike- See details!! 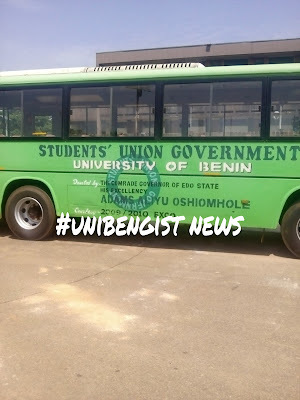 CRISIS: Uniben Shuttle Bus/Cab on Strike- See details!! "We understand that the whole transport system on Campus is really in a mess now. But please let's remain calm. The shuttle and cab drivers were supposed to pay their stipulated revenues to the school management monthly as the weekly method was not effective but since the beginning of the year many of them refused to pay the weekly revenue. Please our dear Uniben Students the SAFE IMPACT team is finding a palliative measure on how to curb this issue and make a lasting solution. We therefore encourage you all to kindly remain calm and manage the few vehicles on ground. We are seriously on the situation as an alternative measure will be on ground by tomorrow morning as directed by the Vice Chancellor. Meanwhile, those for Ring Road and new Benin routes will be pending for now and so we are encouraged to use alternative means for those routes. Also, the shuttle and cab fare still remains the same. 30 naira for buses and 100 naira for cabs. Thank you very much for your usual cooperation. Also, the shuttle and cab fare still remains the same. 30 naira for buses and 100 naira for cabs. Thank you very much for your usual cooperation."